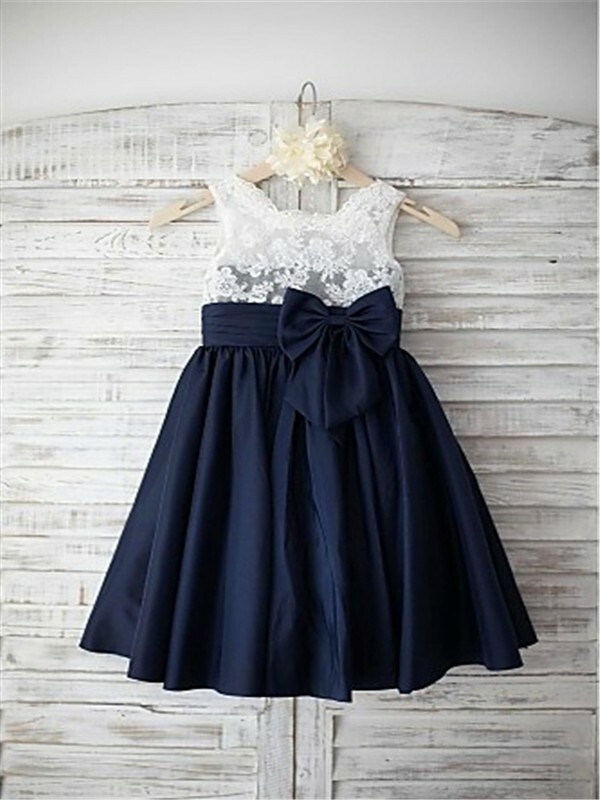 Buy Dark Navy Taffeta Straps A-line/Princess Tea-Length Flower Girl Dresses in Flower Girl Dresses at Bonnyin.co.nz with high quality and affordable price online. 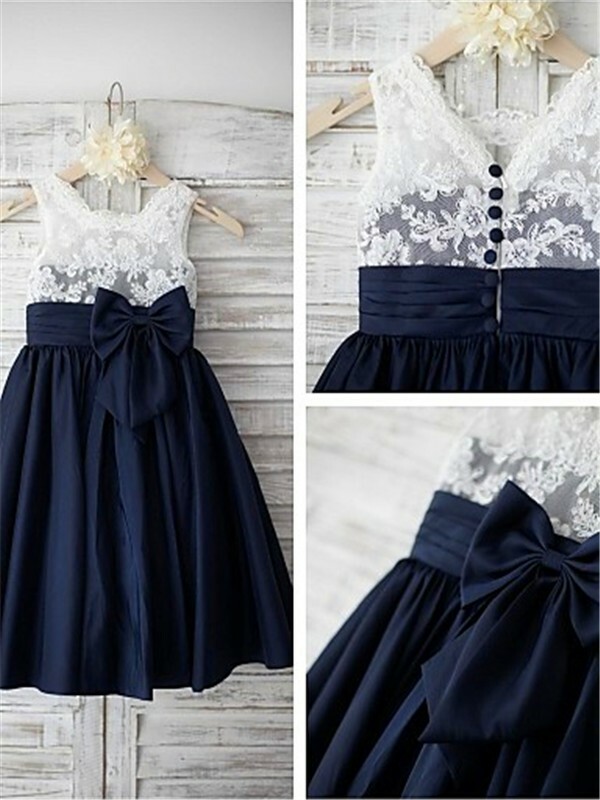 This dress is extremely cute! True to size. 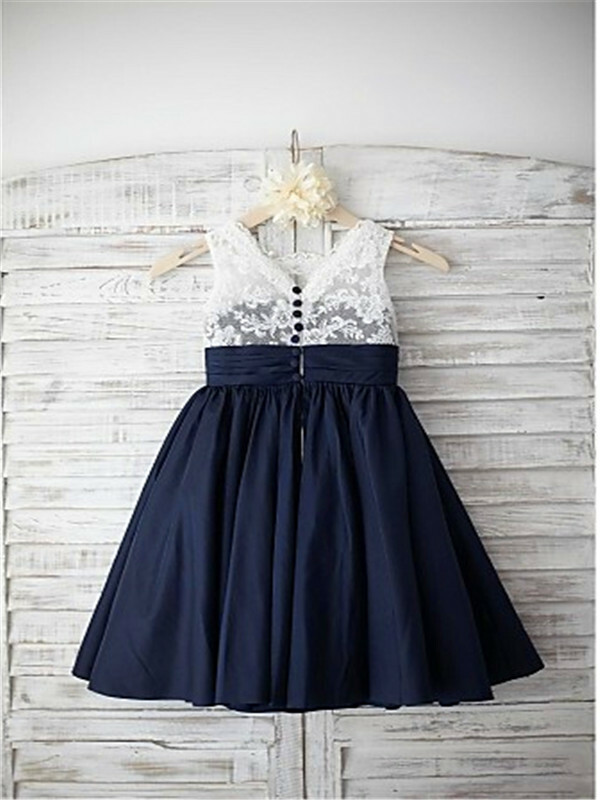 The dress is lining so it is not itchy at all. My nieces loved them!